Last year was a year of change – big time. Not only did our eating habits change but almost every other facet of our lives changed too. We changed everything from pots and pans to make-up and cleaners with the goal to get as many toxins out of our house and cleared from our bodies. We want to stay healthy as a family and we want to give our kids a fighting chance in this polluted world. It has taken time for the changes due to research and financial constraints but overall we have made some pretty dramatic lifestyle changes.This is a lengthy post but you can read it in sections if needed. I start with kitchen items then toiletries, medications and essential oils. At the end there are links to all my pinterest boards in various categories. I am not going to talk about food in this post but a quick note of change is that my family eats Paleo along with me now. The kids always eat gluten free and eat mostly Paleo. My husband eats mostly Paleo but is not fully GF. When there is that occasional pizza or cookie at work he partakes. Baby steps… He has seen many health improvements from eating about 95% Paleo though. I have seen positive health changes in my boys too and you all know my story. If you don’t, you can read my health story here. I will share the rest of the changes in random order. I pray that this post is a great resource for you if you would like to make some changes too. *Please note that we have not “arrived” or are not completely there. This is a journey like everything else in life. These are things that we use regularly but we are not perfect in lack of contaminants in our home. Personally I don’t think anyone can ever be that way in their life on this earth in these days. 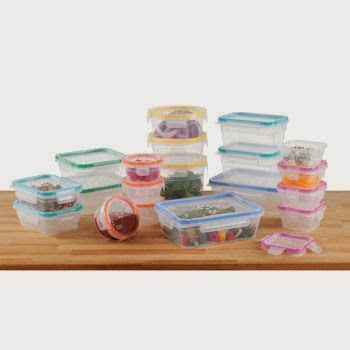 We no longer heat our food in plastic or serve heated food or drinks in plastic containers or serving dishes. When heat is applied to plastic it actually sends toxins that are harmful to our health into our foods or any item that comes in contact with it. Drinking hot drinks from a plastic straw is also a big no, no. We prefer to have the least possibilities of BPA contamination in our home. We use Snapware glass dishes for hot food storage now. I would like to get another set eventually. 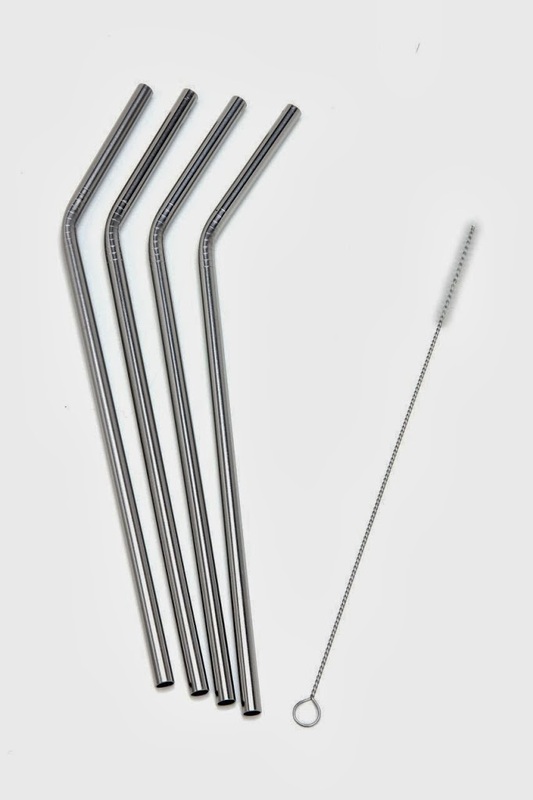 On my next Amazon order I will be ordering these stainless steel straws too. They also make glass ones but I think I will pass on those with my boys. I’d prefer they didn’t drink broken glass after they broke their straws! 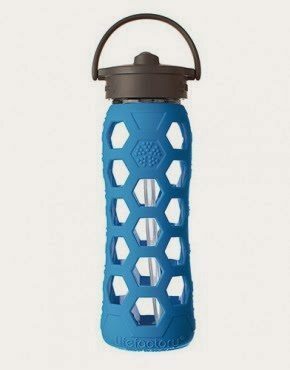 We all used to drink out of plastic water bottles too. We ditched those and use Life Factory Glass Water bottles now. We love them so much! They are nice too because you can use essential oils in your drinks (which I will talk about it a bit) and they wont react since they react with plastic (actually breaking it down) because of their potency. We purchased a new set of stainless steel pots and pans this year. I have to be honest and say I have not gotten rid of every single piece of my nonstick set, I have two left because I like their size. When I find stainless steel ones that compares I will get rid of my nonstick ones. Anyway, we got an amazing deal on this Cuisinart Pot and Pan set and we had been looking for a while to make the switch. 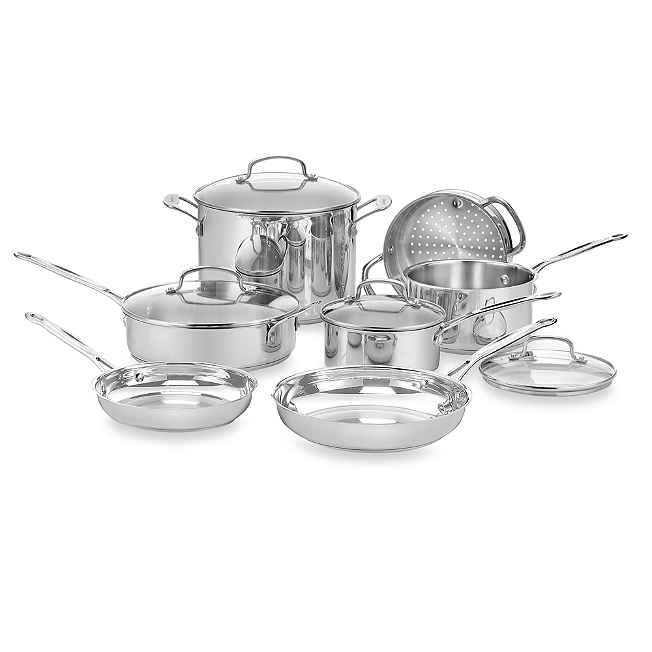 We did add two pieces to this set – a big deep dish dutch oven and a bigger saute pan than comes in the set. Also, we received a free set of stainless steel bowls. It has been nice because I rarely use my plastic mixing bowls now and of course I never use them with hot foods. Stainless is wonderful. I had to get used to using them a bit but low heat and good cooking fats are your friends with stainless. Something else we have implemented is juicing. While most of my family still really gravitates towards the really sweet juices like apple, carrot I have noticed that Cody really likes my juices. I make my juices with one or two carrots but the rest greens and cucumber so it is generally less sweet and more on the bitter side. Once in a while I will add a small piece of fruit to mine but I tend to stay away too much from the overly sweet because the blood sugar spikes for me are terrible for my immunity. I love our juicer because it extracts the juices full of vitamins and minerals and gives my family a way to absorb these vital nutrients very easily. I would like to experiment more this year with different kinds of fruits and vegetables for making juice. There are many options to try! I also love our juicer because it makes nut butter and baby food too! A VERY generous good friend just gave me this juicer because she was not using it! Praise God. If you want a juicer I highly recommend the Champion 2000. It is wonderful and the juice is excellent. 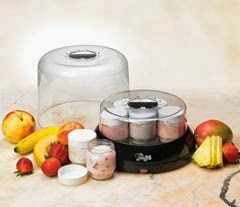 The last kitchen item I wanted to mention that has aided in some changes we have made is my yogurt maker. Each week I make a quart of homemade 24 fermented raw milk yogurt from cow’s milk we get from our farmer. GAPS side note * when you ferment yogurt for 24 hours the good bacteria eats up all the lactose which is what a lot of people can’t digest and have an intolerance too. Any less time and there will still be milk protein (lactose) present in the yogurt. * My family eats this served with nuts, fruit and raw local honey. Sometimes we put homemade Paleo Granola on it (which is grain free.) Sometimes I allow my kiddos to put GF granola on it too but I hate doing that because I know grains give them adverse reactions. I always serve yogurt with a protein and a fat. Yogurt spikes your blood sugar because it has a lot of sugar naturally occurring and then you add fruit and honey and the sugar levels rise. Protein and fat help the body to metabolize the sugars slower and not spike your blood sugar levels. An example would be a piece of sausage and/or bacon or side of avocado with the yogurt. This yogurt is so easy to make and the yogurt maker makes it even easier. All I do is put a quart of milk in a ball canning jar then add 1-2 TLBS of Nancy’s Organic Plain yogurt (for a starter.) I whisk it up and put it in the yogurt maker. It turns out great. The Yolife yogurt maker is great because it comes with a high lid to be able to make big amounts of yogurt. It also comes with 7 glass yogurt sized jars to use. We love this because it is such a good way to get natural probiotics into our bodies and it tastes good too! For natural probiotics I have also started making my own sauerkraut this year. I have enjoyed the end result with that. Our household cleaners have changed too. Although I still own some of the nasty ones with terrible and harmful chemicals in them I very rarely use them now. To clean our kitchen and counters I use a mixture of vinegar and water along with doTERRA essential oils – some Lemon Essential Oil and OnGuard Essential Oil Blend. It smells good, cleans well and sanitizes all at the same time. Anything I purchase as a household item like dishwashing detergent, hand soap, dish soap as well as cosmetics and toiletries (which I will get into later) has to clear the EWG site first. Environmental Working Group is a site that rates thousands upon thousands of products for their toxicity. It defines what is toxic in the product and why. It then rates them from A-F and some of the items get a number rating with 0 being the best. I swear by this site and am so thankful for it. Nothing new comes into our house that does not have a low rating like between 0-2 and A or B. They also have pocket guides for the clean fifteen and dirty dozen foods and many other resources. I love, love, love this tool. For our dishwashing powder I use Ecover and I add a couple drops of Lemon Essential Oil. For our dish soap I use the Ecover brand too and I add a couple drops of Protective Essential Oil Blend. For our laundry detergent I use Essential Oil Laundry Detergent as well. For our hand soap I use Dr. Bronners and Pure Therapeutic Essential Oils. I get the big containers and fill our soap dispensers using a foaming hand soap recipe you can find here. I feel like every little bit counts. As we continue to purge our house of toxins the load lessens and lessens and gives our bodies a fighting chance. It we are always trying to detox big loads of chemicals from our bodies, sometimes more than our bodies can handle, then our immune systems will continually be compromised and we will get sicker more often. Obviously we don’t want this! Last year I also started to take a look into my thyroid medication as well as the supplements that I take. It was imperative to me to get any and all potential products, ingredients and chemicals out of my body, off my body and out of our house. My medication and supplements were a hidden source of contamination. I now have my T4 and T3 created specifically for me at a compounding pharmacy. I didn’t know until I researched that Synthroid which is what I was taking contains SUGAR, CORNSTARCH AND FOOD DYES. Different colors for different dosages! All those ingredients go directly against GAPS and Paleo diets and would have been a detriment to my healing. Cytomel which is another one I was taking (T3) has starch in it. Dr. Natasha Campbell-McBride says in her GAPS book that you don’t want to hinder your progress by taking a pill and I wholeheartedly agree with her. That is when I started having my prescriptions made for me. The only ingredients in mine are the levothyroxine and/or liothyronine and microcrystaline cellulose. Much better than all those other additives! The goal is that I will eventually be off these but I am glad I have an alternative with ingredients that wont hinder healing in the mean time. This discovery in my medicine made me take a better look at the supplements I was taking as well. A lot of them had dairy, starches like rice bran filler or cornstarches as well. Usually I would see maltodexterin which could be gluten too. There were also a lot of ingredients that I couldn’t pronounce which was a red flag to me as well. I have revamped my supplements and only take safe ones now. I wont post these individually because we all take different supplements but if you have a question or want to know something I take, or the brand please comment and I will let you know. Please take a look at ALL labels of products that come into your house – supplements and medications being two broad areas! Hand Lotion The previous lotion I was using from a well known direct selling company touting safe skin products you can even eat. Well, among other bad ingredients they put dimethicone in their body lotion. Dimethicone can cause skin irritation and allergic reaction. Kind of ironic for a “safe” skin product, huh? There were other ingredients too but for the sake of time I wont go into them. I discovered a company called Salon Naturals and they offer quite a few products that are safe and have health promoting ingredients in them. They also have a section on their site highlighting Gluten Free Products they make. 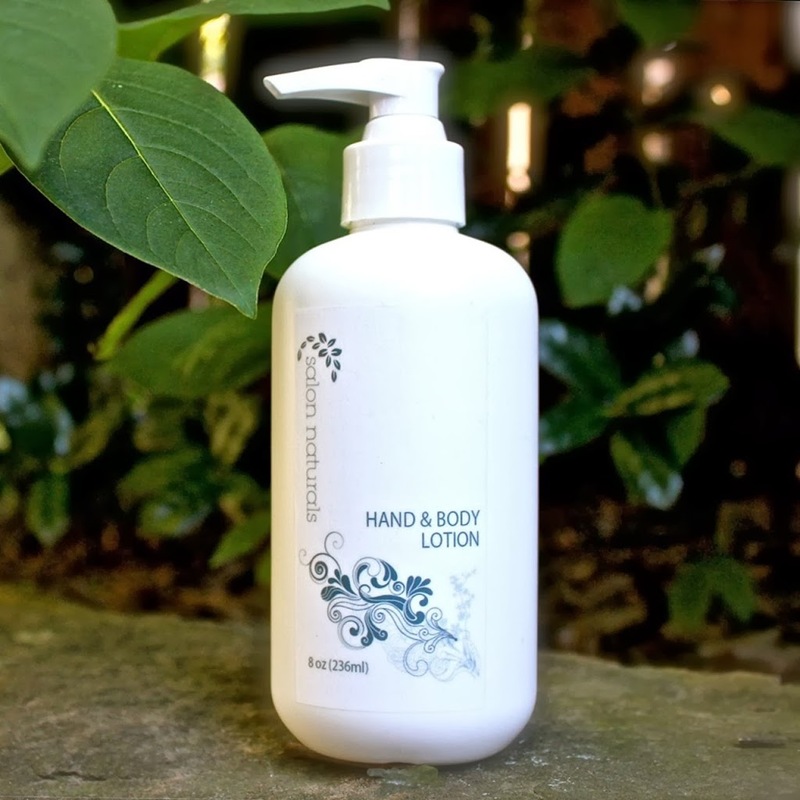 One of the lotions we use is their Organic Rooibos tea Hand and Body Lotion. It works well and I feel good about putting it on my skin. We mainly use if for our hands. If you would like to get some comment to me because I can get you a discount. I am not affiliated with them though. Face Lotion I also had a hard time finding a moisturizer that actually worked and didn’t have unhealthy ingredients in it. 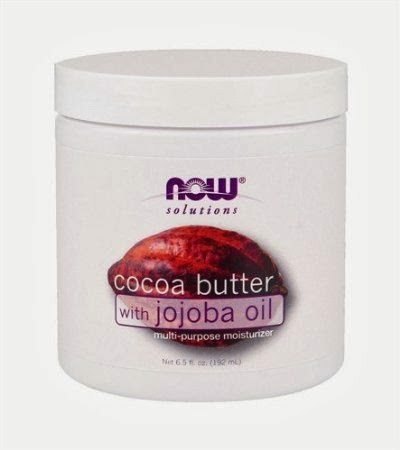 As of right now I use pure Shea Butter and Pure Cocoa Butter with jojoba oil. I plan in the future to make my own using those ingredients along with some of our favorite essential oils. For now though I use these. 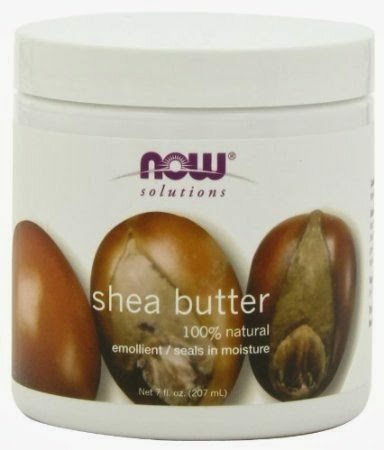 They are probably not for everyone because the shea butter especially tends to be a bit greasy. It soaks in quickly and works for me though. I love the cocoa butter because it smells like I am putting chocolate on my face! Face Soap For a long time I could only wash my face with a wash cloth and water. Anything would irritate it. 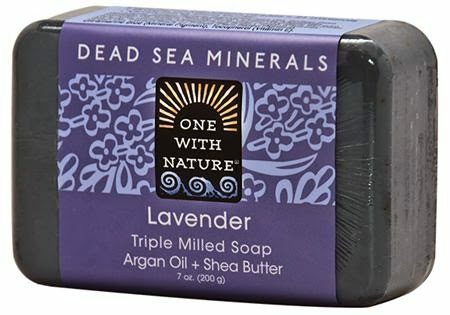 As soon as I started healing internally I was able to start using a mild soap on my body. Finding the right one took a while. This was actually recommended by a friend and it has proven to work well and clean well. 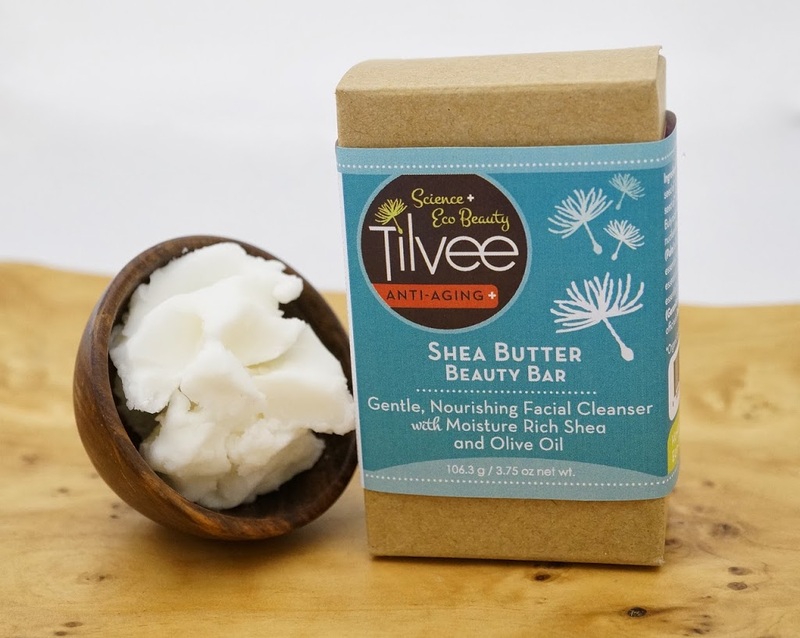 I use Tilvee Shea Butter Beauty Bar for my face. It has all clean, wholesome ingredients in it. I also use the mandarin remedy balm stick (not on my face) but any dry patches like lips or neck. It is soothing. Body Wash In this category my family was using products that were so harmful to our health as well. My husbands body wash was the worst. Every single ingredient was bad in his body wash! He now uses Dr. Bronners mild liquid soap and the boys do too. 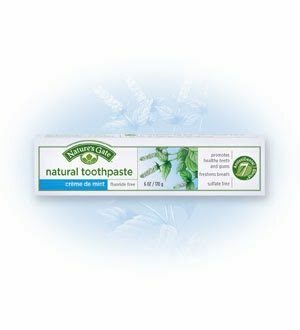 Sometimes I use Salon Naturals, the company I mentioned above and mostly I use a bar soap made by One with Nature. I like the lavender kind but they have a variety of choices. The other thing I implemented last year (at first by force and now by preference) is Epsom Salt Baths. I really have never been a bath person but these are wonderful. I put epsom salt and doTERRAc Lavender Essential oil in to my bath. It is so relaxing and a great way to get magnesium which is a mineral that almost everyone if deficient in. 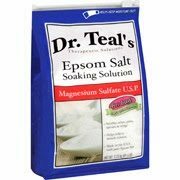 The epsom salt and lavender oil take away aches and pains as well as headaches and general tensions in our bodies. I have grown to enjoy these baths especially when my kids aren’t knocking at the door! Cosmetics Since my face was one of the parts of my body with the worst symptoms the first thing I had to change was my makeup. Actually, for a while I didn’t even where any. I wasn’t going out of the house anyway. I was previously using products that had many harmful ingredients in them although they were marketed to be “all natural.” I found Ava Anderson Non Toxic make-up for my foundation, blush, lip gloss and mascara. They sell other things too but I haven’t tried them yet. 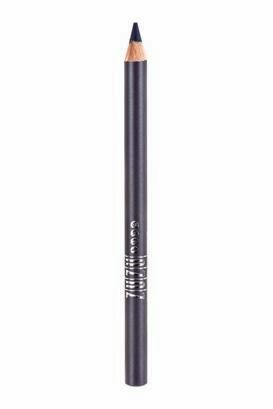 I use Gabriel Cosmetics ZuZu for my eyeliner and lipstick. I can’t say ZuZu is all pure though. It still has titanium dioxide in it but compared to what I was using this is a breathe of fresh air! The mascara from Ava Anderson has titanium dioxide in it as well. Cosmetics are a really big area to be sure you are checking your labels. If you are putting something on your skin essentially you should be able to eat it. It is the largest organ we have and a barrier to our insides. If we are putting toxins on it that absorb inside (which they all do) then we are increasing our toxic levels. Be very careful with what you choose to put on your skin, especially your face. I have a pinterest board linked below that has many different companies that sell safe cosmetics. I hope you check it out and start following. I update it each time I find a new company that is truly pure. One thing I did want to say about Ava Anderson Non Toxic is the foundation is a sheer coverage which is fine for me now but before when my skin was horrible I couldn’t have used it. Also, they need to add more foundation color choices. I hear that is in the works though. The last item I want to highlight other than my Pinterest board links is our usage of doTERRA essential oils. My husband, kids and I started using these in 2013 and absolutely love them. We use them in cooking, cleaning, topically on all of our bodies, internally and in a diffuser for aromatics and to get the benefits of them by breathing them in. The possibilities are endless with them and they are powerful. They have the ability to support thousands upon thousands of things in our bodies for our overall wellness. They can help relieve headaches, support clear breathing, help with seasonal discomfort, support your immune system, disinfect, uplift your mood, relieve sleeplessness, aid in detox, and I could literally go on and on. The best part is that they are 100% pure! Not all oils out there are pure. A lot of store bought ones have filler oils in them mixed with some essential oil and they are not tested for contaminants like mold, fungus and pesticides and heavy metals. Those are not safe for your body. The ones we use are all safe enough to eat and safe enough for our skin. That being said though, you need to know how to use them because they are so powerful. Some of them have to be diluted a certain way before applying topically or used on kids. It is really an art to use essential oils properly and safely. It is so much fun. In fact, I just used them on my little one who was coming down with a sickness and he was better the next day! If you want to learn more about doTERRA Essential Oils you can click here. We use essential oils and swear by them. I highly recommend them. One of them that we use often during winter season (as well as in our household cleaners is the OnGuard Protective Blend. It is amazing! For now that sums up my post on changes we have made over the past year. It truly has taken time and please don’t think any of this happened quickly. It has been worth it though because we have seen less sickness and better health overall due to these changes. Plus I feel good and not guilty about the products we use and what my kiddos are going to grow up with. If at all I can help it I don’t want them to have to fight autoimmunity like I have had too. Below you will find links to all my Pinterest boards. You can follow me on Pinterest to see my latest pins and you can subscribe to my website to be sure you receive the most current posts right in your inbox. Please feel free to say “Hi” in the comments too! I pray you are able to make some changes this year to help yourself with better overall health! Remember it takes baby steps. None of this happens overnight. I stumbled across your site and I’m so glad I did! I’ve been making my own lotions.. Laundry detergent , hand soap, deodorant… Honestly anything I can switch over I have been… Even my cleaners. I love that we can use natural cleaners and in doing so helping my kids have a chance to grow up healthy. The Lord has blessed you with knowledge… Thanks so much for sharing it! Hi Jenn! I am glad you stumbled across Feasting On Joy too. Welcome! What a blessing that you have been switching over your products. Your health will thank you. You may be interested in my favorite essential oil home cleaners kit. It comes complete with a robust cleaning e-book, 14 of my favorite recipes, supply lists and waterproof label printables! Check it out: https://feastingonjoy.com/product/diy-household-cleaners-essential-oils-printable-labels-e-book/ Cheers to our health! You are so welcome! It’s my passion to help people start and maintain a healthy life that they can thrive in. It is encouraging to know that I have helped you. Praise the Lord. I am so excited for you guys Jeff!